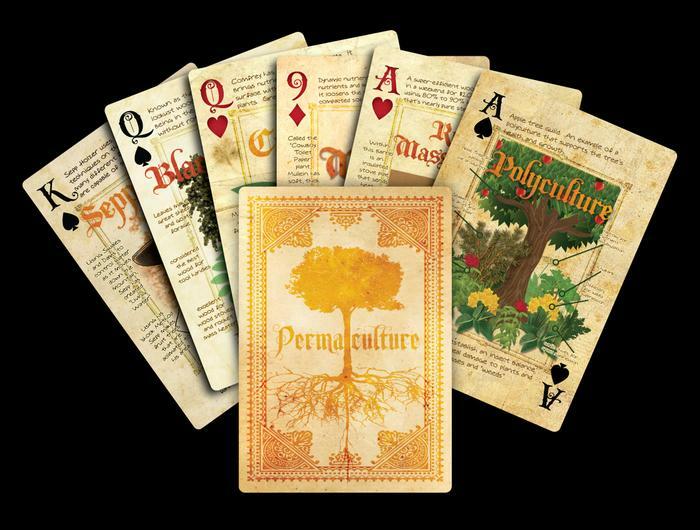 We wanted to create an event that would be worthy of an airplane ticket. Even worth an airplane ticket from overseas. Come for two days, or come for seven days, or come for the full 12 days. Workshop Jamboree Part I - October 6-8, 2017 (Friday evening through Sunday) A weekend of simultaneous workshops where the innovators will teach different aspects of rocket mass heater application. There will be at least 4 projects happening at a time, and students can wander around between projects. 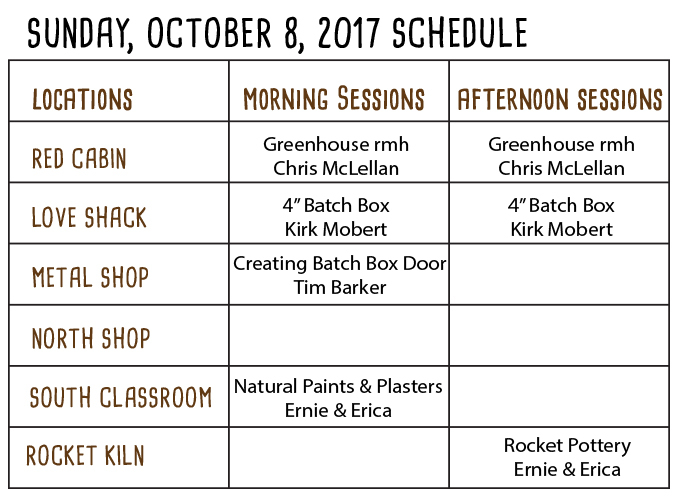 Workshop Jamboree Part II - October 9-13, 2017 (Monday through Friday) This will be a 5-day extravaganza of RMH innovation. Our 7 innovators will each be working on their pet projects. Workshop Jamboree Part III - October 14-17, 2017 (Saturday through Tuesday) A 4-day collection of workshops. 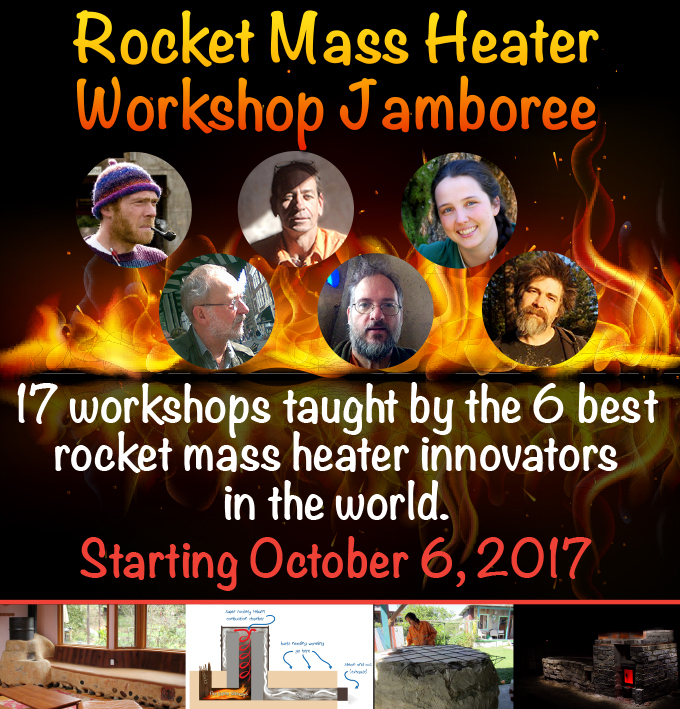 The Rocket Mass Heater Workshop Jamboree Part I starts Friday night, October 6 at 6pm and runs through Sunday, October 8 at 5pm. So it is a weekend, with "Fire Science Theater" thrown in on Friday night. Imagine you’re at a music festival. You wander from stage to stage, checking out the bands and listening to different kinds of music. Well, the RMH Workshop Jamboree is kinda like that. Only, without the music. Instead you’ll be watching innovators in the rocket mass heater field work on different aspects of rocket mass heater design. You can watch a build of a regular rocket mass heater; check out how to build a rocket mass heater for brewing (! ); and then wander around to see what the other guys are up to as well. Watch this page for updates on what will be going on during the Rocket Mass Heater Workshop Jamboree weekend. Post questions to the Rocket Mass Heater Innovators Event thread at permies. Tiny House Rocket Mass Heater (batch box): This will be a 4 inch batch box system in "the love shack" a very tiny space (about 7x11). Greenhouse/hugelkultur rocket mass heater: The trick with building a rocket mass heater for a greenhouse (or an outdoor hugelkultur mound) is that everything has to be wet tolerant. 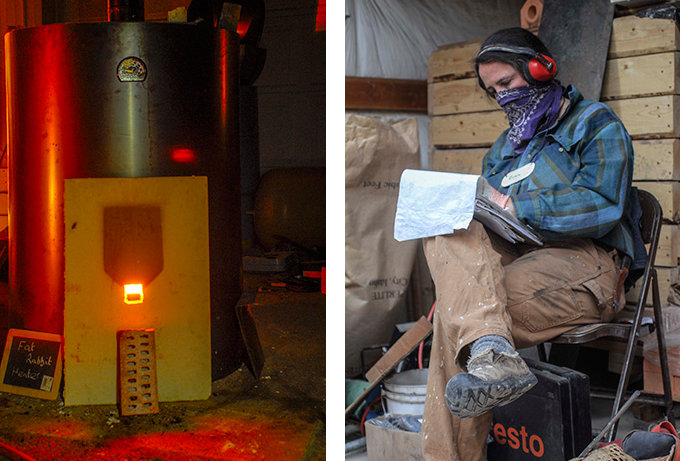 Rocket stove brewing: Up your brewing game with a rocket brewery. How to weld: You will get to actually weld something. It will probably be something really lame, but it will be real welding. 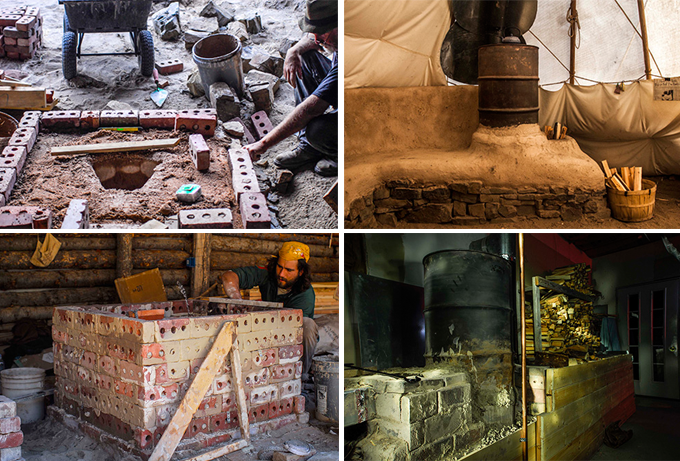 Masonry 101: A quick course in bricks and mortar for building rocket mass heaters. Creating a Batch Box Door: A batch box rocket mass heater is worthless without a good door. This will be welding and cutting metal to make a damn good door. 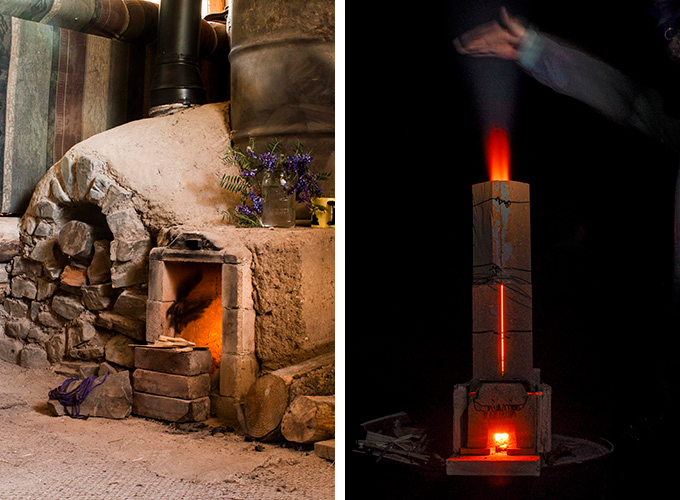 Rocket Pottery: We will fire up the rocket kiln to go through the proper process for pottery. Schedules may change slightly. Keep an eye on this page to stay abreast of the lastest plans. The Rocket Mass Heater Workshop Jamboree Part II : this is the core event. The rocket mass heater innovators event for 2017. The top seven minds in the world come together to push the boundaries of rocket mass heaters. 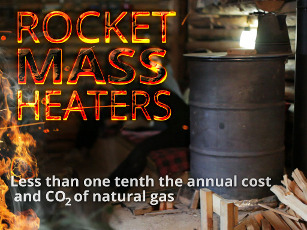 Our past events have made huge changes in the rocket mass heater world. The innovators are not required to share what they will build during the innovators event. In fact, it seems every year they change their mind several times and end up building something that came to them just before the innovators event started (usually due to some exchange with the other innovators). You will be able to wander between each of the innovators sites. They appreciate your help in what they are creating - your presence accelerates the innovation! Most people seem to form a bond with their favorite innovator by the end of the first day and focus on the one project - while still taking a little time to visit the other projects each day. 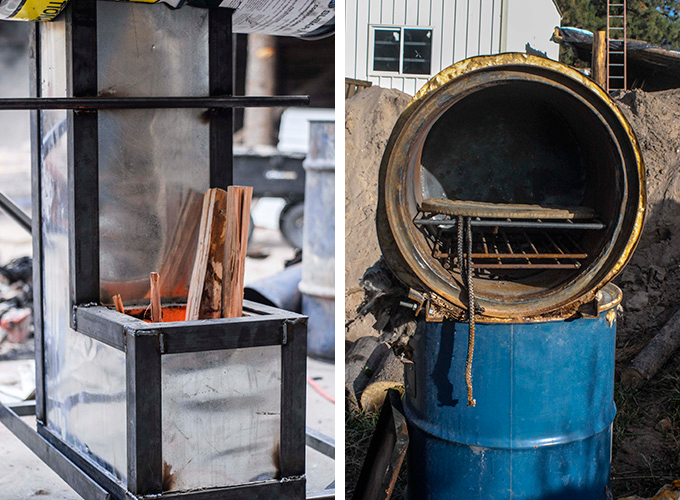 Indoor Rocket Cookstove and Oven: This project will last 4 days, and will take place at Allerton Abbey: Peter van den Berg is going to build a rocket cook stove and oven for indoor cooking! 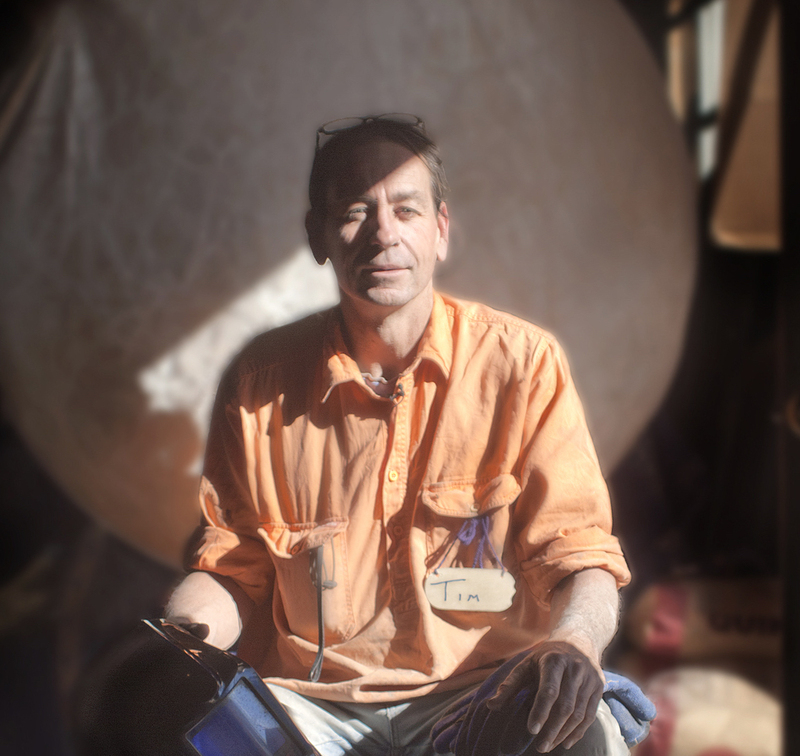 Peter wishes to carefully guide students through his style of observation, design and build. Skiddable (portable) Canning Kitchen: Start with a skiddable shed, and fill that shed with everything needed for an outdoor canning kitchen that can be moved. Kirk Mobert and Tim Barker will lead this build. A great deal of focus will be on skirts for the pots, so the pots will be heated from the bottoms and the sides. Outdoor Ring of Fire: A truly cob based ring of fire. Lots of glass so everybody can see the fire as the bench warms their butts - all of the beauty of a campfire with none of the smoke in your face! 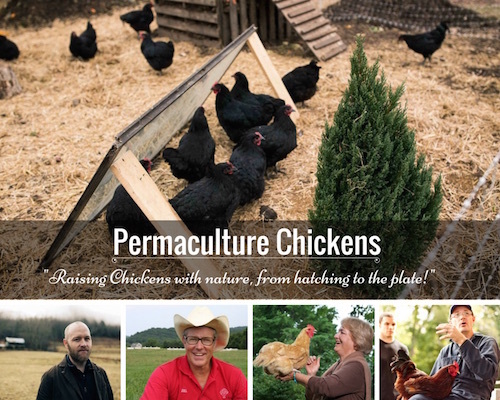 Chris McClellan will be teaching this workshop. Here are our innovators for 2017. Watch this space for details on their projects at the event. Erica is a science and art educator, curriculum developer, writer, illustrator, researcher, and rocket mass heater innovator. 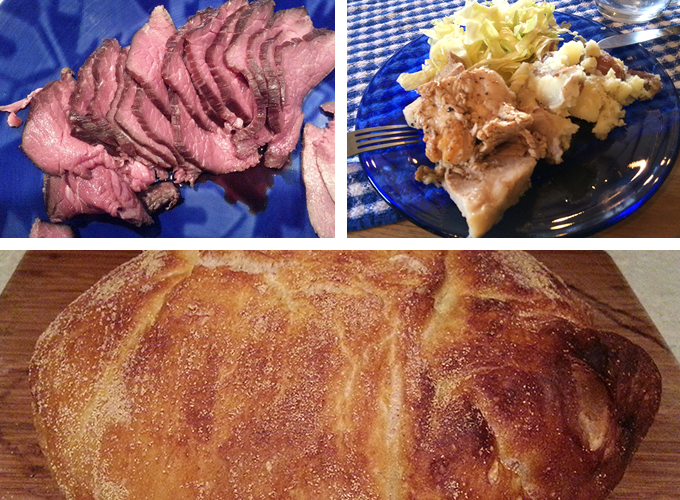 She loves making things from scratch - anything from blueberry scones to the oven itself. Erica is a skilled educator and project coordinator, with over 20 years of experience building teamwork and leading hands-on learning. 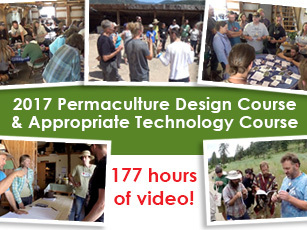 Erica and Ernie have taught numerous workshops on natural building and rocket mass heaters. 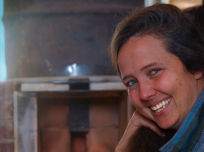 Erica has written multiple books on rocket mass heaters, fire making, and survival shelters. She is featured in many videos, documentaries, and podcasts on rocket mass heaters. 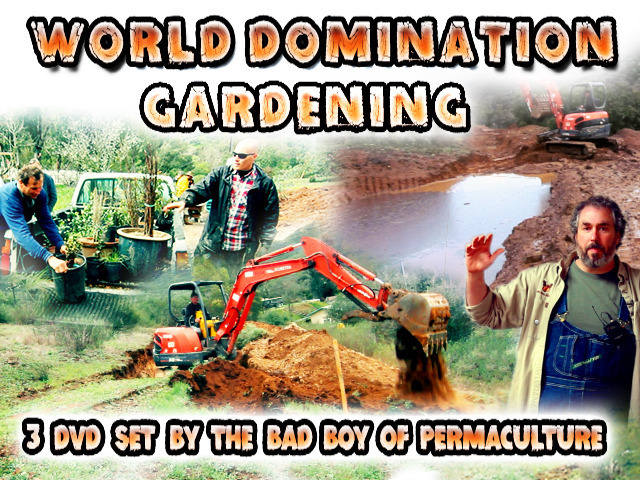 Ernie is a botanist, educator, writer, researcher, rocket mass heater innovator, natural builder, and boat aficionado. He served in the merchant marine, Navy, and fisheries, and has tremendous experience with hydraulic and hot water systems. His family's sea time stretches back "since Noah was a babe," all over the 2/3 of our planet from which quitters can't walk home. Ernie is semi-retired due to a disabling injury, but still makes time for the occasional workshop or fascinating prototype project. 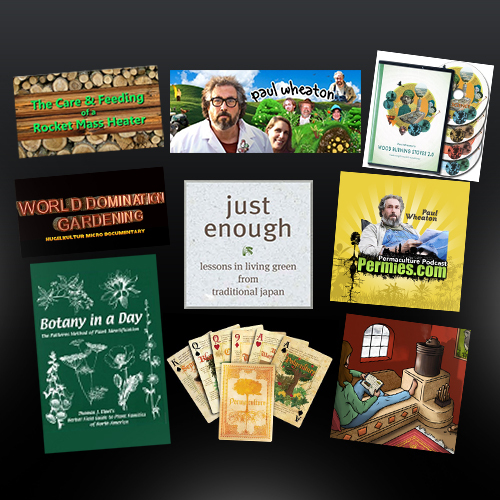 He co-authored multiple books with his wife, Erica, and he is featured in many videos, documentaries and podcasts. Ernie is a wealth of knowledge; there are not many topics on which he does not have an opinion. Due to medical issues, Ernie may not make it to the event. We'll keep you updated! 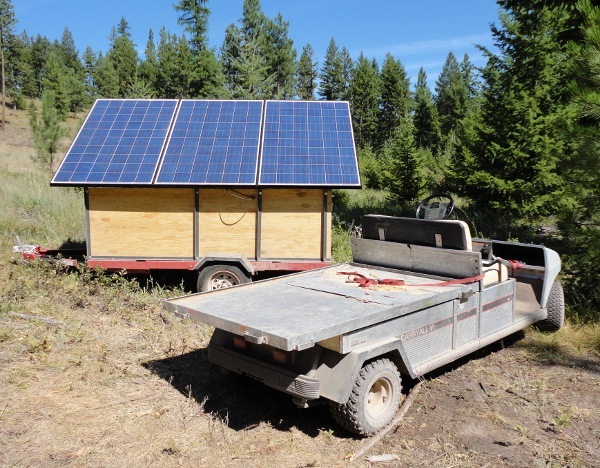 "Tim Barker, from Australia / NZ, built one of the most robust rocket water-heaters we've seen, capable of being run safely and maintained by a rotating student body on a permaculture teaching site." 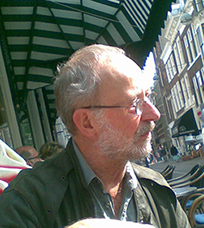 Born 1st of March 1946 in The Hague, Netherlands. Lived in the same town since. Formal education: Cabinet maker up to master. Skills: Woodworking, bricklaying, plumbing, welding, plastering, electrical wiring, composites, making molds. Work: Cabinet maker 17 years, composite specialist and mold maker at Fokker Aircraft 17 years, master of boats for Delft University among others, 14 years, retired since 2011. 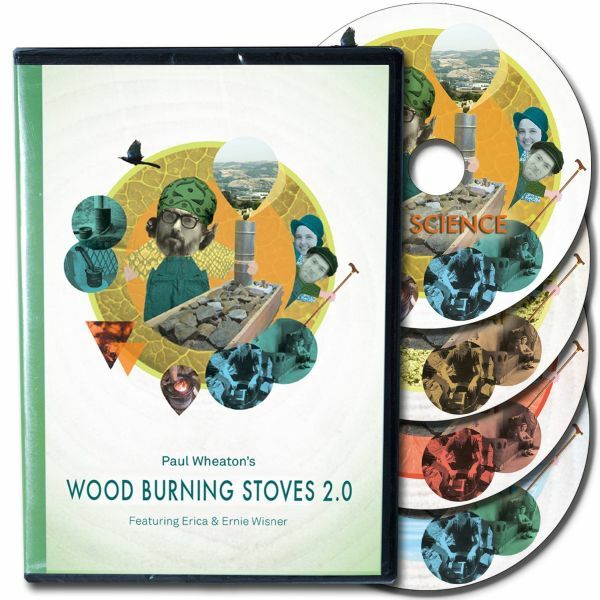 Interested in efficient wood burning, mostly by way of masonry heaters for the last 30 years. Tried to make a living building those heaters but gave up after 5 years. Since 2007 investigating and developing rocket heater variants. 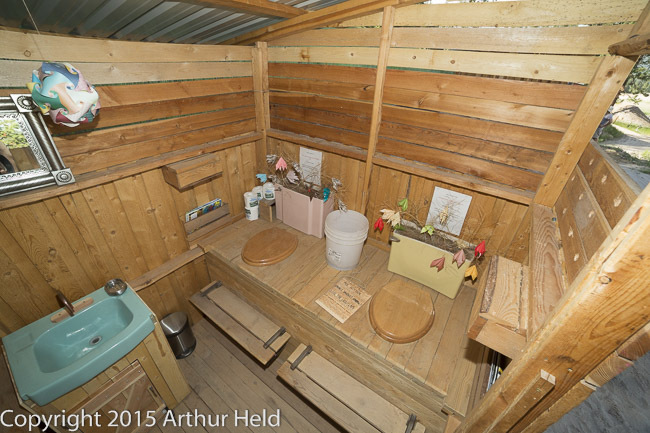 Designed and built his own passive, energy neutral house. 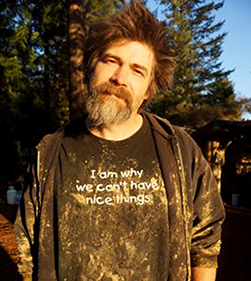 Kirk is a native Californian with a love of critters, fire, and mud. 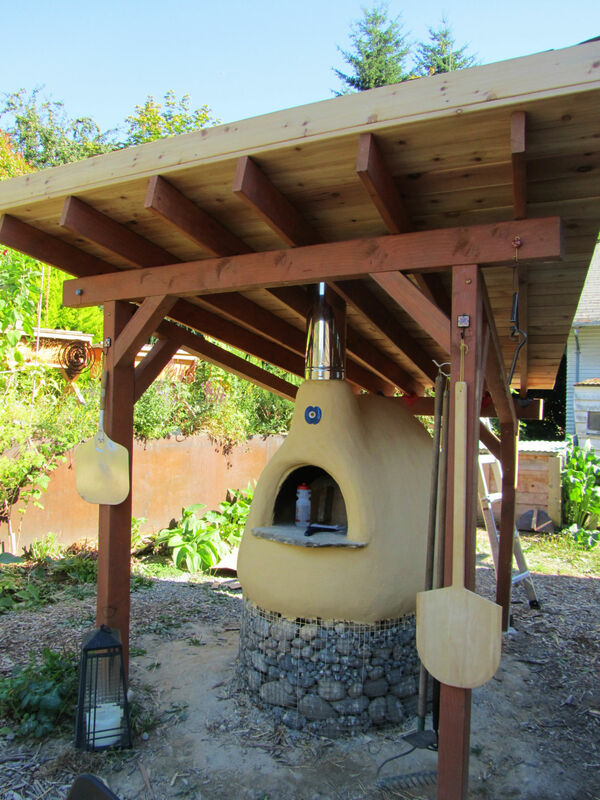 He's been a natural builder for some time, has taught with Cob Cottage Co. and around California for over a decade. Kirk's particular interest in Rocket Stoves and Rocket Mass Heaters is in providing a pathway to super efficient, high technology solutions; with low technology, do it yourself methods. 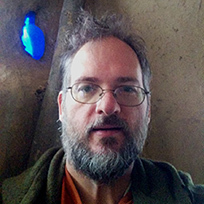 Kirk, also known as Donkey, is the administrator of donkey32.proboards.com, which has become a hotspot for discussion and innovation of all things Rocket Stove. For him, exploring the possibilities and pushing the boundries is where it's at. While Natural Building is ancient, for our culture it's new, and there's still a lot of room for discovery and experimentation. 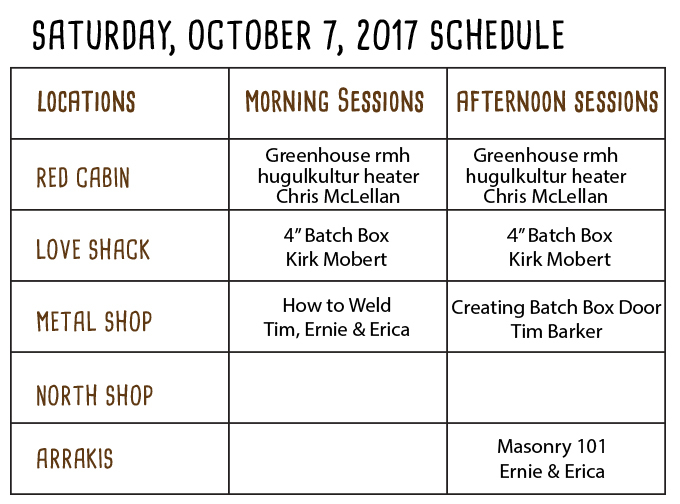 For the workshops, I'll be building a 4-inch batch box for the Love Shack, and the Rocket Stove Canning Kitchen on a sled. As an innovation, I want to do some experiments downstream, with the exhaust. 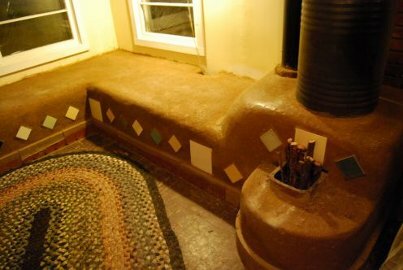 First, I'd like to figure out how fast the exhaust will cool, in masonry (cob) runs; to have a thumbnail rule about changing chimney sizes. Second, I'd like to see if my idea for extracting the heat out of condensation of exhaust water can be made practical or even worth the trouble. Uncle Mud (aka Chris McClellan) raises free-range, organic children in the wilds of northeast Ohio. 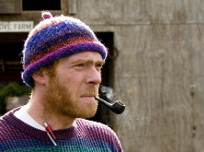 In his spare time he tinkers with, teaches, and publish books about cob building and Rocket Heaters. One particularly promising application for the RMH is the heating of greenhouses. Where I live in Cleveland a lot of growers install greenhouses but then can't afford the supplimental heat to keep them from freezing. There are challenges (such as damp conditions that limit our use of cob) but extending your growing season without breaking the bank is going to make a big difference at your homestead. We are going to be BOLD on this one. In fact, we are going to skip the greenhouse and build a RMHH (Rocket Mass Heated Hugelkultur) with a large barrel bell buried in the hugel bed just because we can. If we get enough folks helping we'll even add a bench-bell so we can have a place to warm our butts while we brag about our heated core season extender. Info on work trade here. Note: 80% refunds up to two weeks before the event starts. If you are not comfortable with being recorded, please do not attend. Tobacco free and drug free site. We have not run out of space for parking yet, and we can even provide parking for a couple of RVs (no hookups and no generators please). Once you have paid, we will start the conversation about what you need to park, and how to get here. If you need a ride from the airport, we can arrange for somebody to pick you up. For those that may not be able to fly with sleeping bags and tents, there are a limited quantity available to rent for a small fee; and of course, you can always rent the Tipi, Wofati, or other structures for your stay to lighten your luggage. A few people have shipped a box of this sort of thing here. And a couple of those have left tents and sleeping bags for future people attending these events. Tent camping is included with the courses. We have a few formal tent pads with a sand bottom, to give you a soft, level surface for setup. First come, first served. Some people last year came a week early. Once you are registered, we will give you information on local hotels, lodges, campgrounds, etc. - we have had several people that prefer that sort of thing. We have had some people arrive with a van or truck to stay in - that's fine. Some people want to bring a camper - please coordinate with the registrar about that - there is no fee, but we need to put you in an appropriate spot. We don't allow plugins or the use of a generator. Solar panels are okay. You are welcome to harvest some of the food we have growing here, just be respectful, and leave some foods behind to reproduce. Slumber Party at Cooper Cabin! 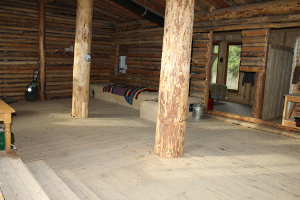 Cooper Cabin is also known as "Wofati 0.8". 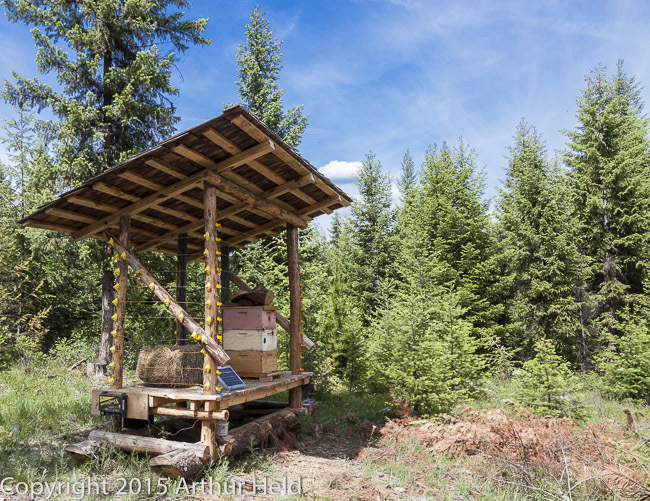 The structure is not quite done yet, but people have been living in it since August of 2014. This spacious structure has plenty of room for large groups. We will be allowing up to twelve people to throw a sleeping bag down on the floor of Cooper Cabin for a small fee. This requires a seperate registration. 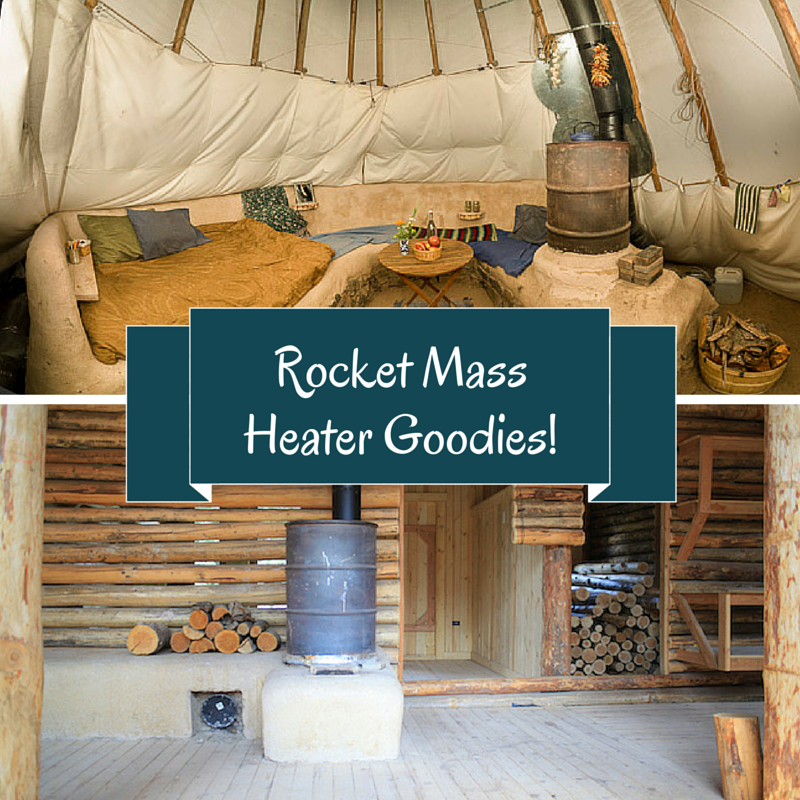 You probably won't need to fire up the rocket mass heater, but you could if you wanted to. This is the tipi and rocket mass heater that was part of the great rocket mass heater experiment in the winter of 2013/2014. 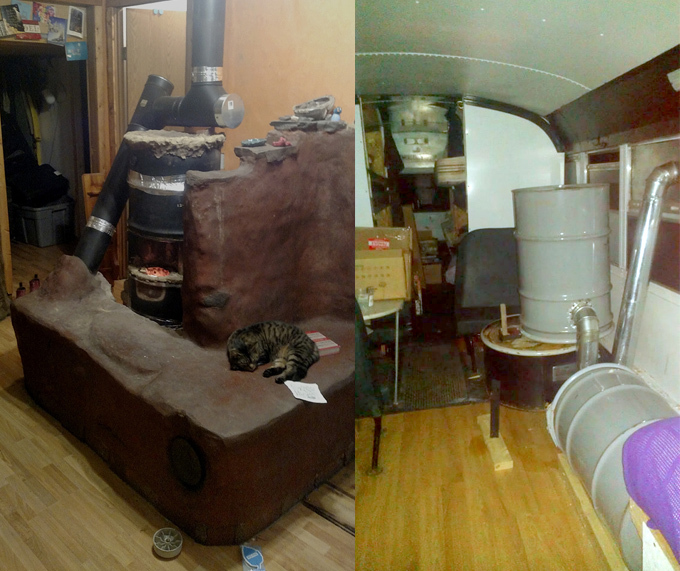 Most people want to stay in it during the winter to fully appreciate the function of a rocket mass heater. 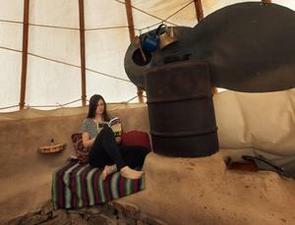 You can learn more about the tipi with the rocket mass heater here. Food is, technically, not included, BUT! you will be invited to eat at Paul's table. This means that you get to eat foody bits! All you want! And as much as it is Paul's favorite foody bits, it is probably not your favorite foody bits. So if you have preferences, or special dietary needs, you will need to bring your own food. And the fun part of that is that we have a massive buffet of fun cooking contraptions. Usually, for the week before the event starts, most of the instructors/innovators will be here to make sure things are set up correctly. There is often a lot of discussion about trying stuff and there is usually some tinkering. And usually, about a half dozen students show up a bit early to help get things set up, elbow-to-elbow with the instructors. We will provide some food staples for workers. Folks will need to take care of the cooking and cleanup on their own during this period since there is no cook or person to clean. After the event, we need to clean up, and sometimes to put the finishing touches on projects. Help is appreciated! So the cook will be here for two days after the event to feed the magnificent folks that help with the part of the event that most people desperately wish to dodge! And for nearly every rocket mass heater event we have ever done here, there are people staying for as much as a week after to further tinker with stuff. So food will continue to be provided for these folks - but much like the week before the event started. 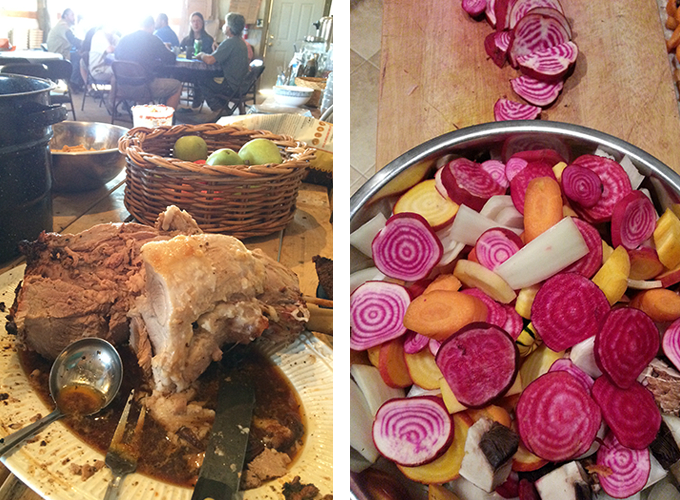 It was the joy of cooking and entertaining for friends and family, that led Katelin Ginther to become more serious about the culinary field. 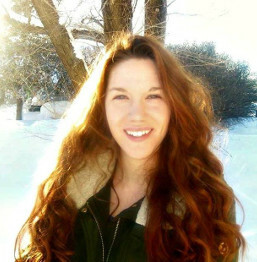 Katelin has honed her skills through cooking meals from scratch at home, hosting dinner parties, and catering for various permaculture/sustainability events such as: Gathering of the Guilds-MN, Rocket Stove-Mass Heater Workshop, MT, etc . She lives in Lemmon, SD with her husband Weston, and son Tristan. Together they operate "Sandstone Gardens", a greenhouse business where they provide "beyond organic" produce for their local farmers market and themselves. In the future, they plan to expand the business to reach a wider community, selling to restaurants and various establishments. Katelin aspires to have her own food truck, and ultimately run her own restaurant someday. She will be taking cooking classes with Gordon Ramsay this coming year, and attending various workshops and events. Along with a passion for cooking, Katelin enjoys singing (performing in a 90's cover band occasionally), traveling, herbalism, playing card games (especially cribbage), working on the ranch, and being a mother. Last but not least, event participants will also get a tour of all the projects at base camp and the laboratory. Tours will be at set times and an itinerary will be posted soon. 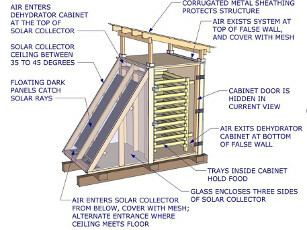 You will get to see three wofatis, the lemon tree project, the tipi, five rocket mass heaters at base camp, three J-Tube style rocket stoves, three rocket mass heaters at the laboratory, the solar "voltswagon", the "solar leviathan", the solar electric vehicles, the solar electric tractor, the solar electric sawmill, hugelkultur beds, Sepp Holzer's grain, a junkpole fence, a haybox cooker, berms, the berm shed, the bee hut, the porta-cabin, several skiddable structures, compost hot water showers, two poop beast systems, ant village, and more. You can either email us at workshop@richsoil.com, or post questions to the Rocket Mass Heater Workshop Jamboree thread at permies. The thread at Permies is a great place for asking questions and keeping up-to-date on what is going on.